The reverse innovation concept has gained traction in the practitioner and academic domains since it alters the traditional view of innovations flowing from developed countries to emerging markets. Reverse innovations depart from the assumption that product development appeals to value offers with reduced performance and radically lower price points for consumers in emerging markets. Existing literature on reverse innovations has been limited to analyse case studies and anecdotic evidence but a systematic framework is needed to innovate in systematic ways. Drawing from the technology planning and forecasting, this paper proposes that technology roadmaps are suitable tools to analyse how a reverse innovation designed initially in an emerging market encroaches developed countries. At the firm level, roadmaps integrate technology planning, product development, and market aspects. Hence, they become suitable tools to design and commercialize products and services based on the reverse innovation paradigm. Technology and innovation have driven growth in the 20th century and will continue to do so in the 21st century. The advent and rapid development of technology in the fields of microelectronics, information and communication technologies (ICT), and genomics are two examples that have transformed societies around the competitive landscape. ICTs have enabled the appearance of platform-based business to connect consumers with providers. For example, genomics is a factor to deploy more widely health organizations that supply medical prescriptions based on individual gen features. Similarly, microelectronics has facilitated companies to gain productivity increases in many industries. While technology has produced gains for a number of stakeholders, it has also brought pains to other participants. Managers need robust tools to deploy technology management strategies as well as innovation development strategies. Academics have devoted efforts to understand how organizations can manage technology and innovations. The innovation research streams have evolved to involve more than fifty types of innovations in terms of innovation attributes, costs, targeted segments, and go-to-market strategy (Varadarajan, 2010). Traditional strategies for innovation management involves a top-down approach in which multinational companies develop a product oriented to developed markets and then in marketed in emerging countries using a one-size-fits-all go-to-market strategy. This has lead companies to failure and diminished returns. Disruptive innovation approaches have emerged to make the case for innovations coming from the low ends of markets to then encroaches towards high end of the market. 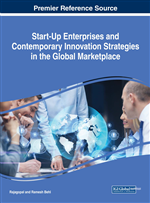 Similarly, reverse innovation theory maintains a bottom-up approach to innovation management in which a product initially designed in an emerging country is suitable to be transferred to developed countries (Govindarajan and Trimble, 2012). The previous phenomena occur in a context in which emerging markets and developed countries greatly contrast in many aspects. First emerging countries will grow at higher pace than developed countries in the coming decades. India and China represent about one third per cent of worldwide population and show economic growth rates close to 8 per cent in the last years. Africa, Latin America, and some countries of the FEMA region comprise close to 700 million of inhabitants. In contrast, some estimates show that developed economies as United States and Europe will grow at modest rates. Second, emerging countries endure chronic institutional voids, which poses both advantages and challenges to business growth. Challenges are that financial funding for starting new business is scarce as well as patents protection. This leads business to develop varying degrees of organizational and strategic flexibility to deal with unexpected economic, political, and social events. Third, there is a technological gap between emerging and developed countries that hinders high technology developments and product innovation. How a reverse innovation is framed into the technology strategic roadmap so it can trickle up from developing to developed countries? The following section (Section 2) discusses types of innovations. Section 3 discusses perspectives on technology and innovation management, particularly it proposes a technology roadmap to foster reverse innovation processes. Section 4 address managerial implications and conclude with recommendations for future research.